George Abraham Grierson's Linguistic Survey of India is one of the most complete sources on South Asian languages. This book is the first detailed examination of the Survey. It shows how the Survey collaborated with Indian activists to consolidate the regional languages in India. By focusing on India as a linguistic region, it was at odds with the colonial state's conceptualisation of the subcontinent, in which religious and caste differences were key to its understanding of Indian society. 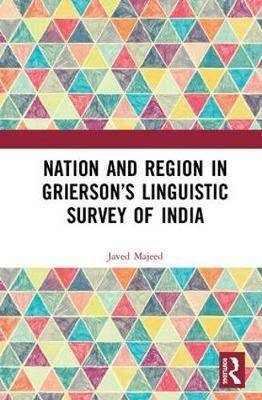 A number of the Survey's narratives are detachable from its rigorous linguistic imperatives, and together with aspects of Grierson's other texts, these contributed to the way in which Indian nationalists appropriated and reshaped languages, making them religiously charged ideological symbols of particular versions of the subcontinent. Thus, the Survey played an important role in the emergence of religious nationalism and language conflict in the subcontinent in the 20th century. This volume, like its companion volume Colonialism and Knowledge in Grierson's Linguistic Survey of India, will be a great resource for scholars and researchers of linguistics, language and literature, history, political studies, cultural studies and South Asian studies.